There are a variety of reasons you may be searching for a new dentist in Warsaw. Perhaps you’ve just moved to our area, maybe your former dentist is retiring, or possibly you’re considering a second option. No matter the reason why, embarking on the search for the right dentist isn’t an easy task. After all, you’re looking for someone you will feel comfortable with and who you can trust with your smile and health. Consider the following tips during your search to ensure you’re picking the right dentist to meet your individual needs. The best place to start your search for a new Warsaw dentist is to talk with your friends, family, and coworkers. Ask around and gather the names of a few practices you can take a closer look at. Talk with the trusted people in your circle to find out what they like about their dentists and compare what they say to what you’d like in a dental team. It’s also wise to hop online to check out the practice’s available services, get to know a bit about the doctor, and to get an idea of the office personality. Once you’ve compiled a list a few options from your friends and family, give each office a call. The first phone call can give you some insight into the personality of the practice and provides you the opportunity to ask some valuable questions. Consider asking questions such as what you should expect during your first visit, how the office handles finances, and the level of training of the staff. 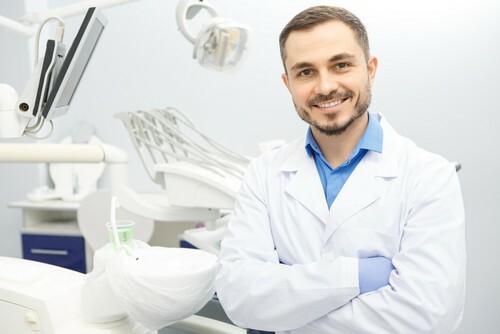 Following these calls, you should have a good idea of which dental office in Warsaw stands out and who may be the right fit for you and your family. Whether you’re new to the area or if you’re just in need a of new dentist, we always welcome you to give our Warsaw dental office a call. We’ll be sure to answer any questions you may have, schedule a prompt appointment if desired, and get you on your way to healthy smile.